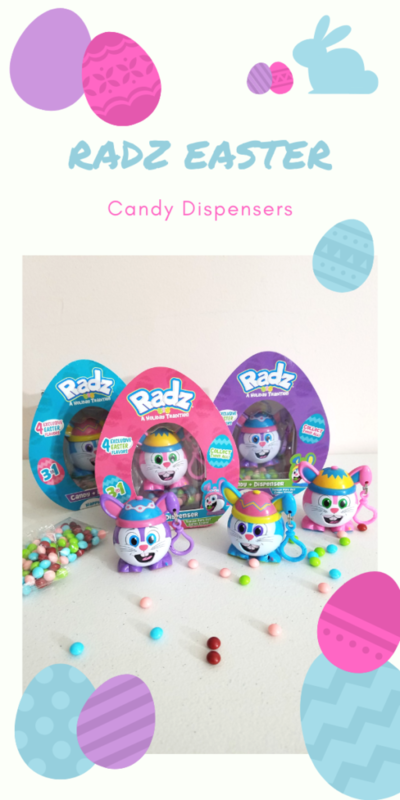 These Radz Easter Candy Dispensers are perfect for the Easter baskets this year! 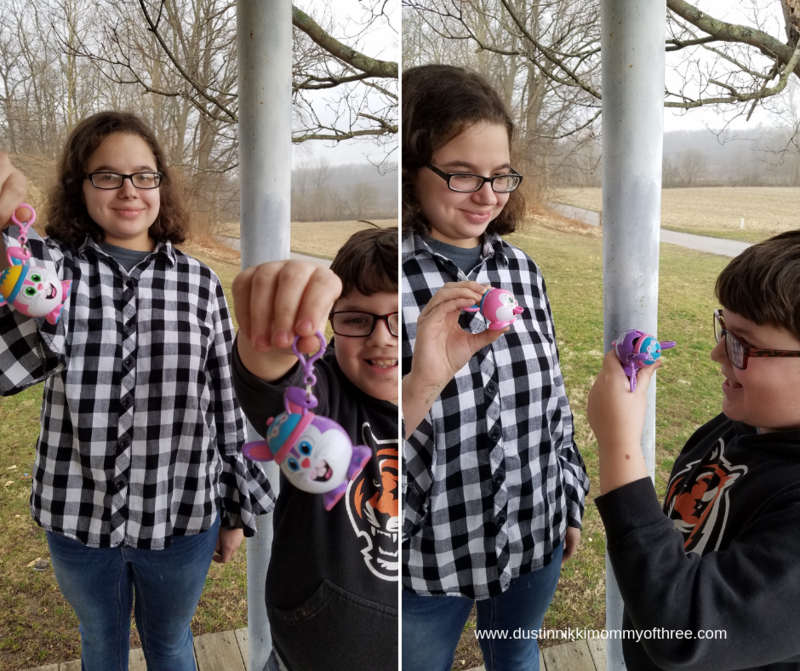 My kids love these Radz Dispensers. They have some other character dispensers too such as DC Heroes. Radz has a lot of different characters you can buy. 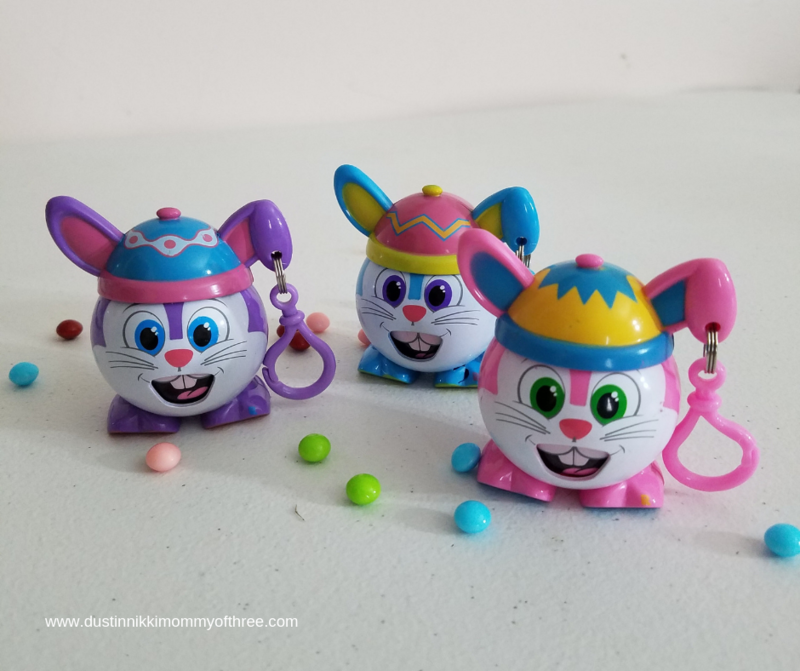 The Easter Radz are only around for Easter so if you want to collect these three bunnies, now is your chance! 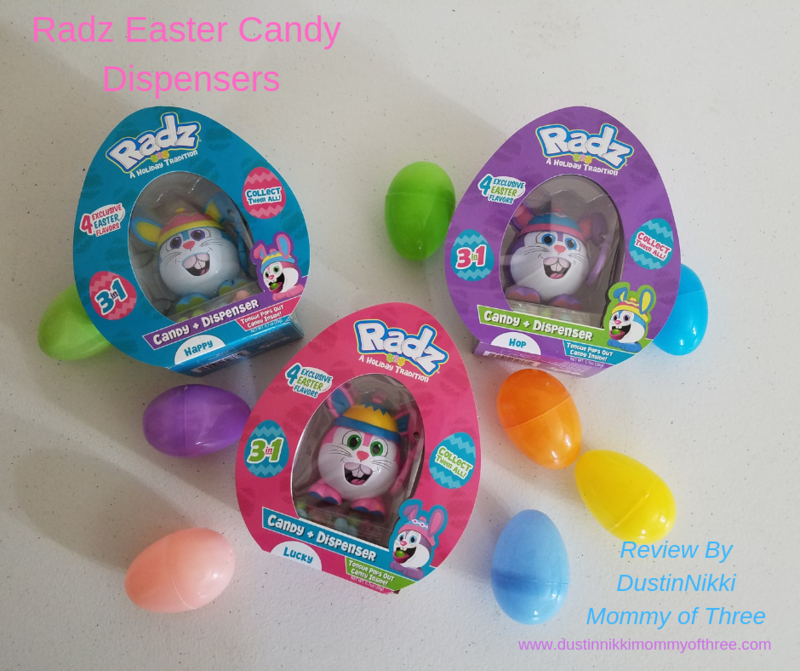 Each Easter Radz is a 3 in 1. 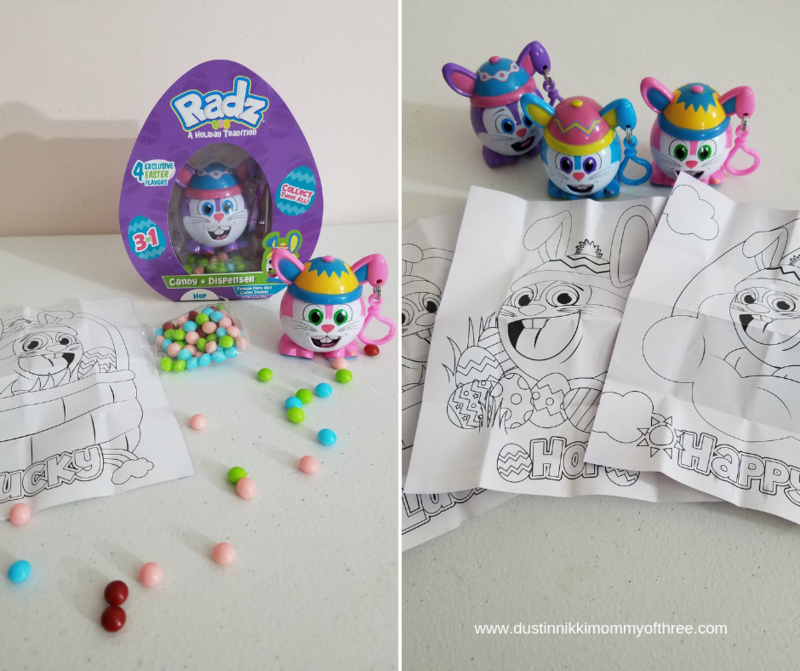 Included is an Easter Radz candy dispenser, candy, and a coloring page. 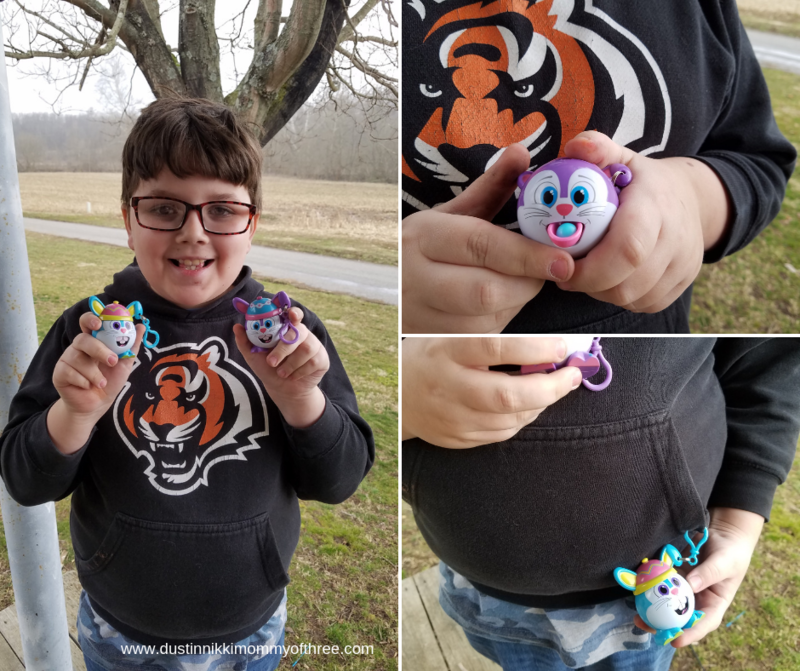 There are three Radz Easter Bunnies you can collect. The purple one is Lucky, the blue one is Hop and the pink one’s name is Happy. Each one is equipped with a clip too so they can be clipped to bags, back packs and other things as well. The clips are easy to use and they clip on and off things pretty easily. To fill them with candy, all you have to do is twist the top off. There is a groove on the inside of the top and it lines up with the tabby thing on top of the dispenser. To put the top back on, just fit it over the tabby thing and twist it back on. When you remove the top, you can fill the dispenser with candy. Once the top is back on, all you have to do is push back on the top and the candy comes out of the bunny’s mouth. My youngest thinks this is hilarious because they stick their tongues out to dispense the candy. As mentioned previously, they each come with a coloring page. The coloring page are mini pages featuring the bunny that you got. They are pretty cute coloring pages too. 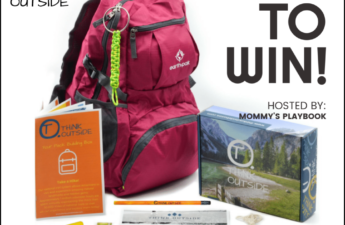 On the backside of these pages is a checklist which also includes the candy flavors. The coloring pages are glossy though. I do wish they weren’t so that they would be easier to color but my kids didn’t have a problem coloring them with crayons. The candy is actually pretty good. They are pretty small pieces and they are a hard candy. These are not recommended for ages below 3 years. Even at 3 years, I would personally keep an eye on the littles if you let them eat the candy. 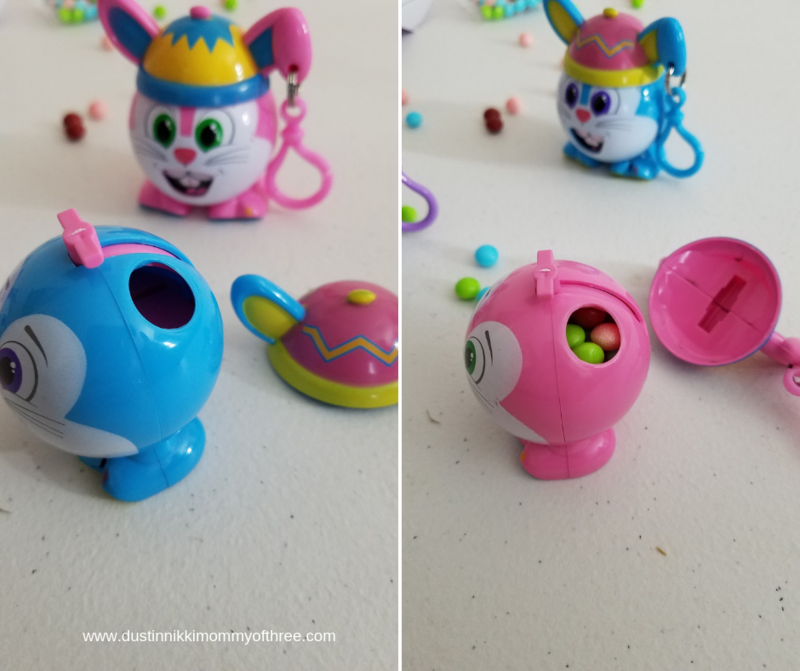 The candy flavors are Easter exclusive flavors and they include Eggcelent Fruit Jumble, Hoppin’ Bubblegum, Bunny Berry Blast, and Tropical Spring Time. All the flavors are pretty good. My personal favorite is the bubblegum, my youngest says that’s his favorite too. My other two don’t really have a favorite. But the candy is like a sweet flavor but slightly tangy once you get past the candy shell. One of the other fun things about these is that you can mix and match the tops with other characters. And I don’t mean they can be only mixed and matched with the same kind of characters. They can mixed and matched with any Radz character dispensers. Which means my kids can give their Batman or Wonder Woman bunny ears! These are really cute! The candy dispenses really easily. With one of them my son had to dispense candy a few times because it would catch and then the candy would fly out. After using it a few times, he didn’t have any more problems. These Radz dispensers are fun to collect and there are a lot of different character series you can collect. That’s another thing that I like about these. 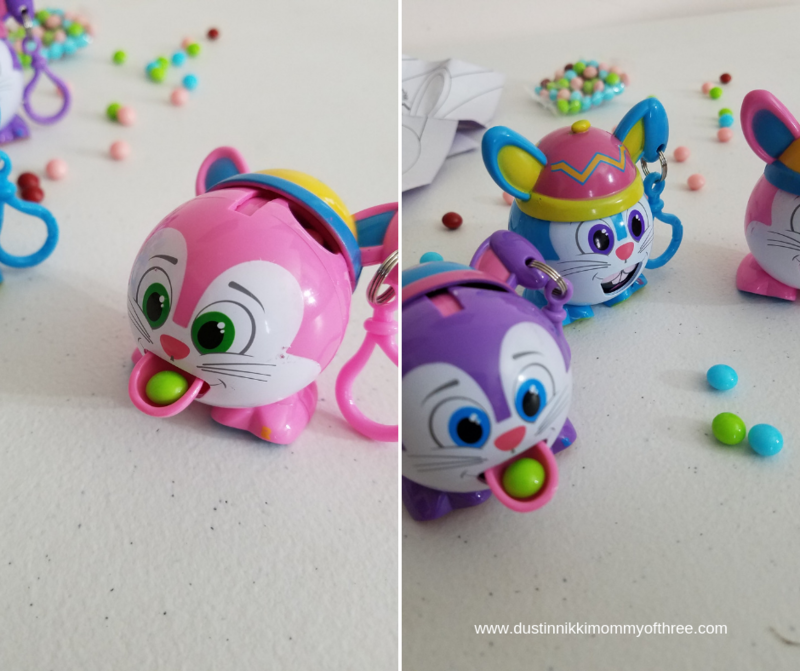 The dispensers can still be used as toys and played with long after the candy is gone. There may be a lot of different characters you can collect, but don’t forget, the Easter ones won’t be available for long! 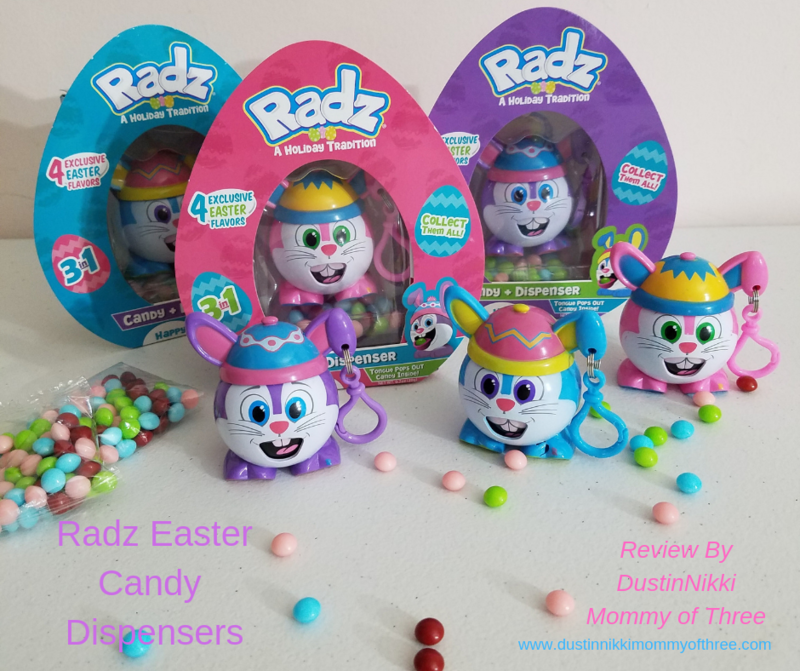 Buy It: You can get these Easter Radz Dispensers at stores like HEB, Hobby Lobby, Brookshire Brothers, Target, Walmart, Amazon and a few others. 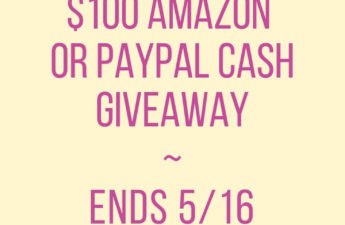 Check out their website for their retailers! 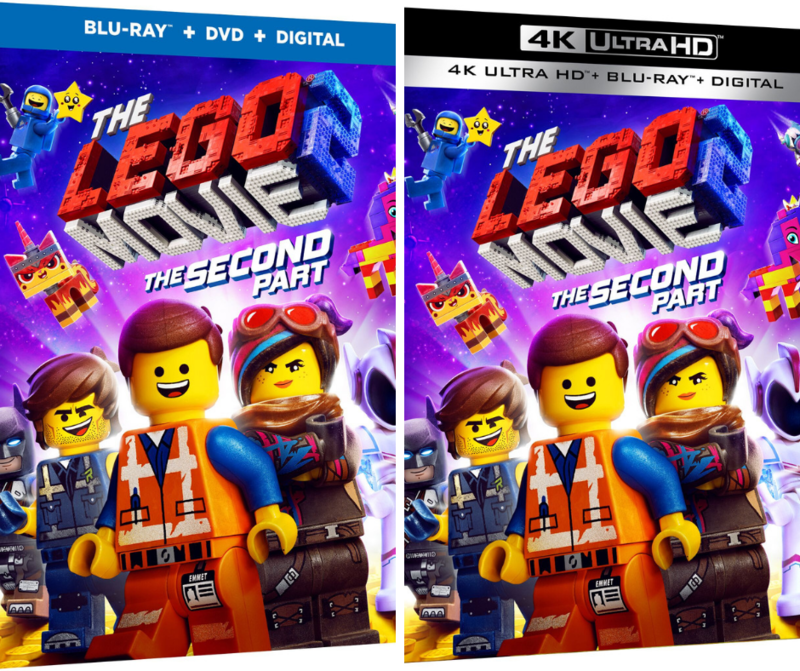 These retail for $2.99 – $3.99 each depending on where you buy them.